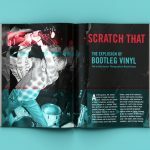 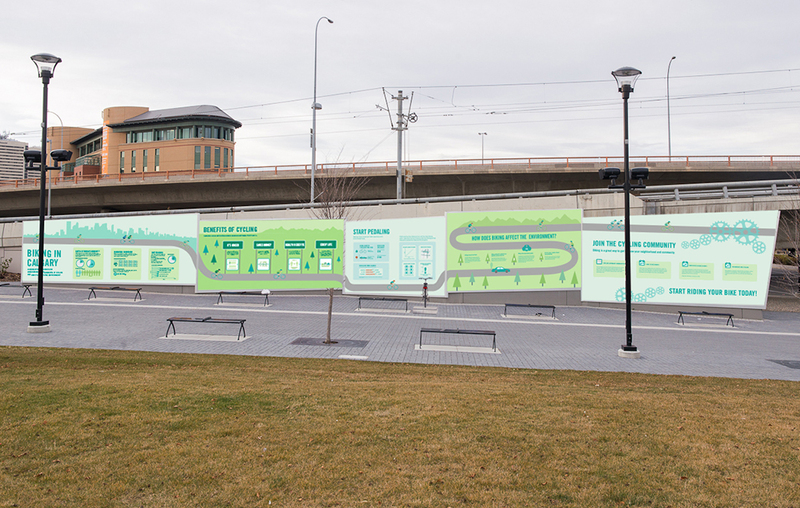 For the Information Design course, I had to design an interactive exhibit for the East Village Riverwalk. 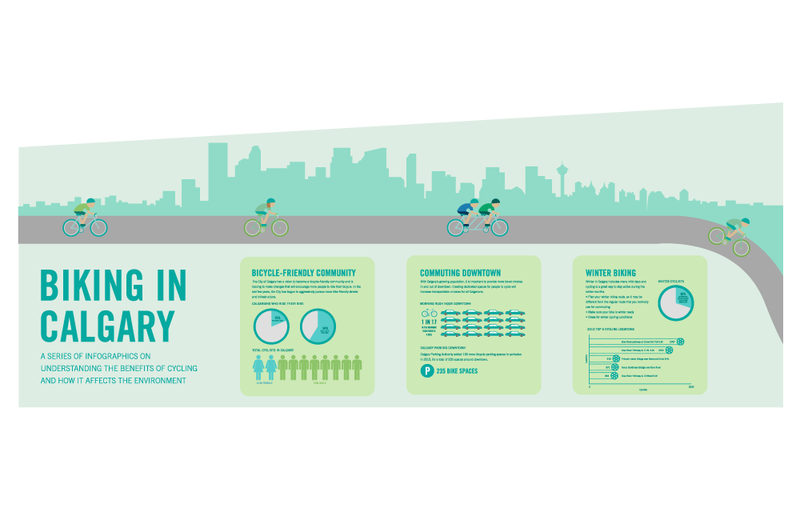 The concept was to “Change Calgary for the Better.” The topic I chose was to encourage more Calgarians to ride their bikes. 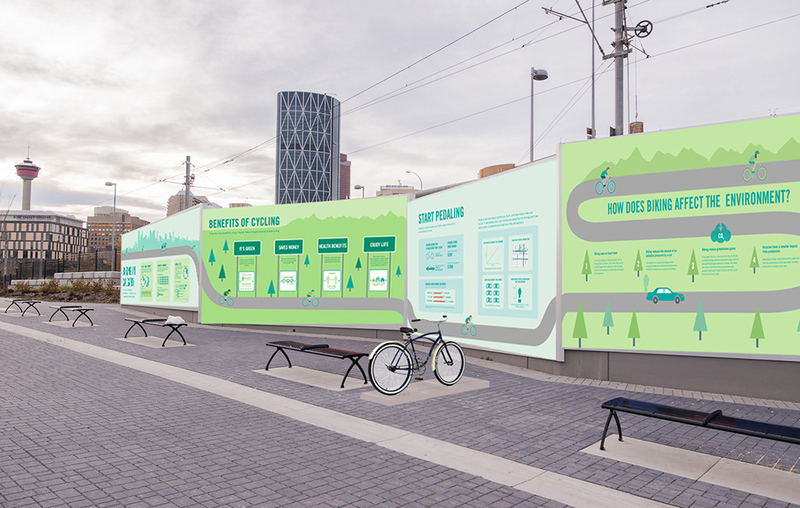 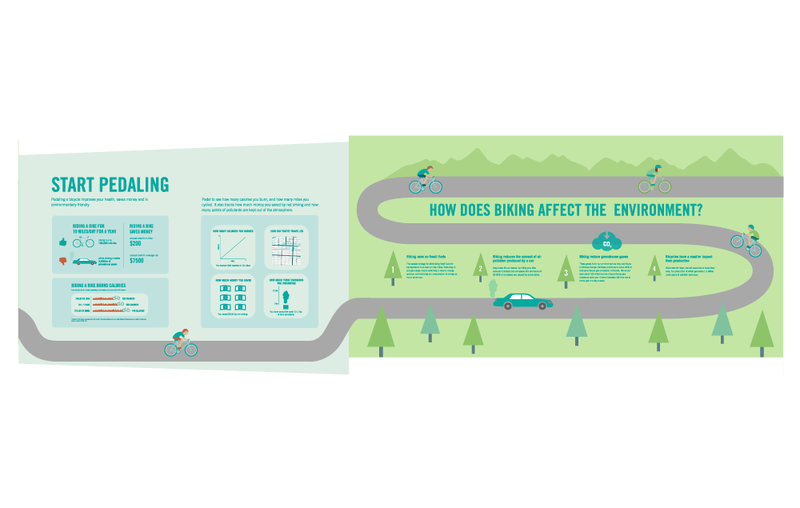 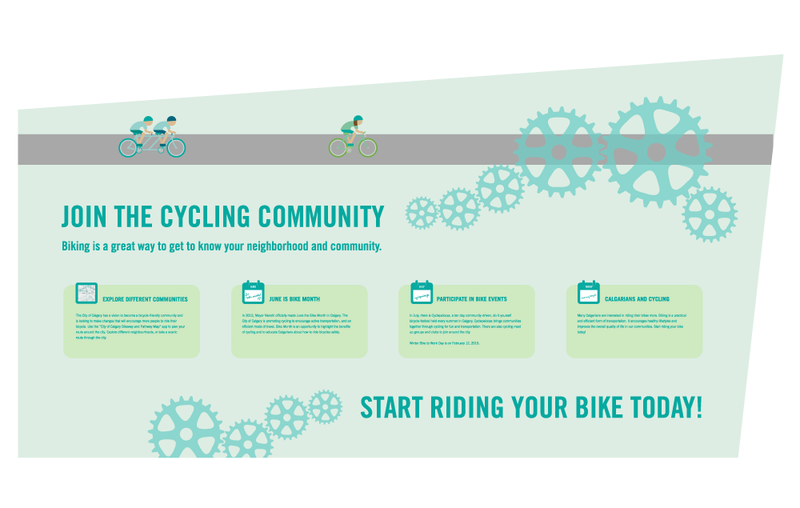 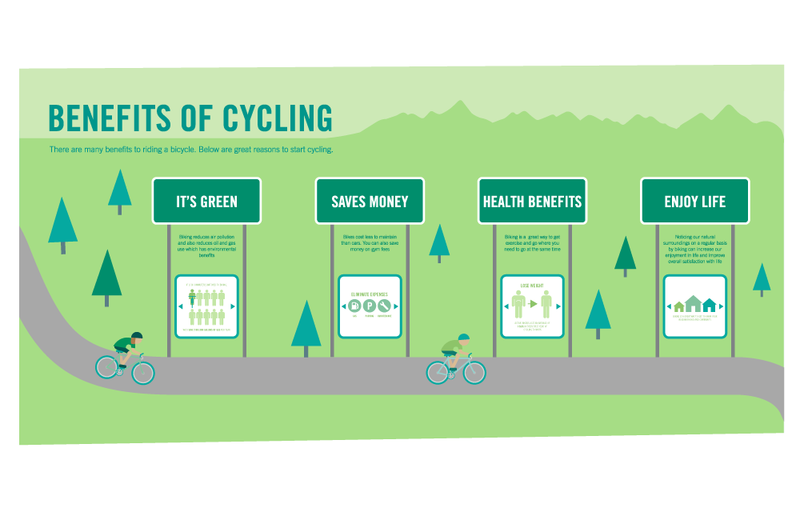 Through a series of panels and infographics, Calgarians will be able to learn about biking in Calgary, the benefits of cycling and how it affects the environment.